Created by John and Amy Israel Pregulman, KAVOD (Hebrew for “dignity”) is the nonprofit that helps indigent survivors purchase groceries and medicines. At the root of their barbarism, the Nazis sought to strip Jews of their dignity. Decades later, poverty has done the same to many Holocaust survivors. John and Amy Israel Pregulman have merged their professional skills, and their lives, to affirm the dignity of these witnesses to humanity’s inhumanity. In the past five years, John has photographed 830 survivors in 39 U.S. cities, and in Krakow, Prague, and Tokyo. Amy is executive director of KAVOD (Hebrew for “dignity”), the nonprofit the Pregulmans created to help indigent survivors purchase groceries and medicines. 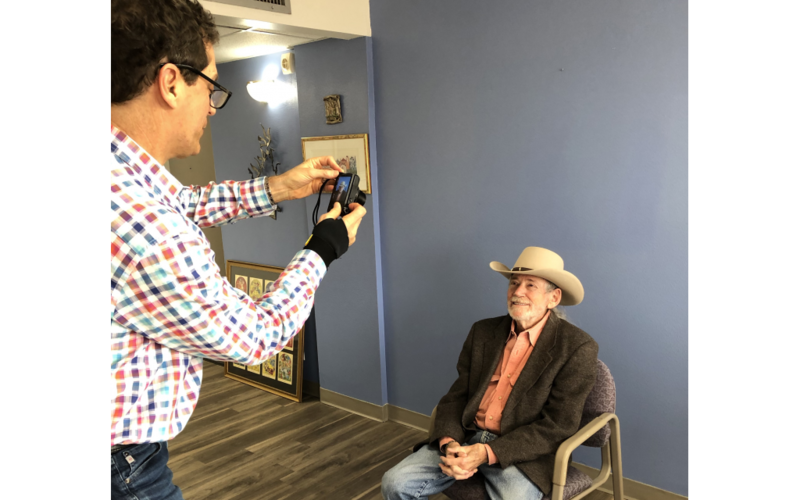 While in Atlanta from March 30 to April 2, John will photograph local Holocaust survivors and the couple will attend a national meeting of agencies that assist survivors. For the photographs, John wields a small digital camera, relies on the available light, and foregoes a backdrop. “I found in the beginning that big cameras and fancy setups intimidate them,” he said. He avoids words and phrases, such as “rounding up,” that might prompt unpleasant memories. “We don’t say ‘shooting’ pictures. I used to say this and some of the ladies got big eyes and started to cry,” he said. Amy Israel Pregulman with one of the Holocaust survivors photographed in Denver, Colo., in February. The photographs are not displayed in galleries. “We would exhibit the photos elsewhere if the opportunity arises,” as it did at the Illinois Holocaust Museum and Education Center in Skokie, (a city with a significant survivor population), and The Jewish Museum in Memphis, Amy said. In the course of this work, the Pregulmans learned that perhaps one-third of an estimated 100,000 survivors in the United States live below the government-established poverty line. “We found that unconscionable,” Amy said. John often tells the story of the Holocaust survivor in Orlando who offered him something to eat, but her refrigerator was almost empty. An air conditioner repair had left her without sufficient funds to buy food. “In relationship to need, it’s such a massive problem. There is more need than there are dollars, right now,” Amy said. 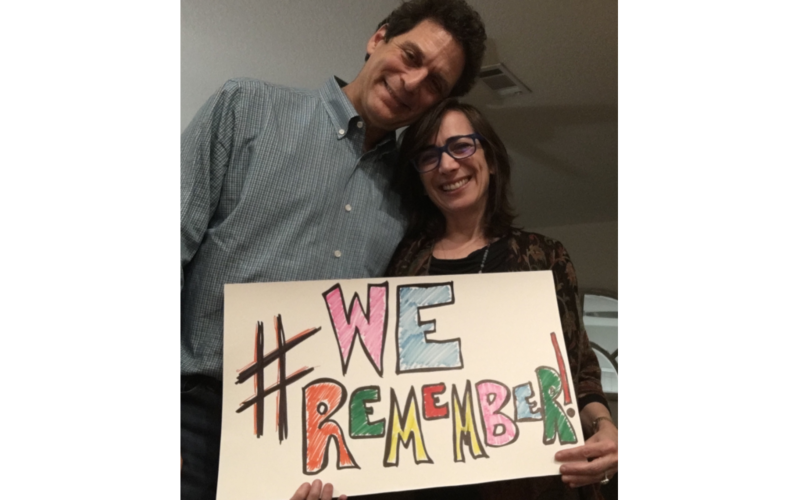 John Pregulman and Amy Israel Pregulman, founders of KAVOD: Ensuring Dignity for Holocaust Survivors. 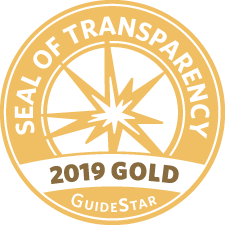 Since its founding in November 2015, KAVOD has raised $310,000 – 95 percent donated by individuals – and every penny is earmarked to the survivors. A grant covers administrative costs and Amy’s salary as the only employee. She purchases gift cards online from Kroger, Publix, Walmart, Target and other stores and pharmacies. Funneled through local Jewish organizations, KAVOD has assisted more than 1,200 survivors. Sometimes the recipient knows that the gift has come through KAVOD; often, they do not. “We don’t always know if they know. Sometimes the agency will let them know. We sometimes receive these beautiful notes from them,” Amy said. “We tend to make connections with the survivors who are more open to that than others. There probably are 40 or more that we stay in touch with and talk to. It’s inspirational to us and really gives us the passion to do what we’re doing,” John said. Neither Amy nor John has Holocaust survivors in their families. John, a native of Chattanooga, leads the photography and fundraising efforts. Amy, a Memphis native, takes care of KAVOD’s social media networking and grant writing. 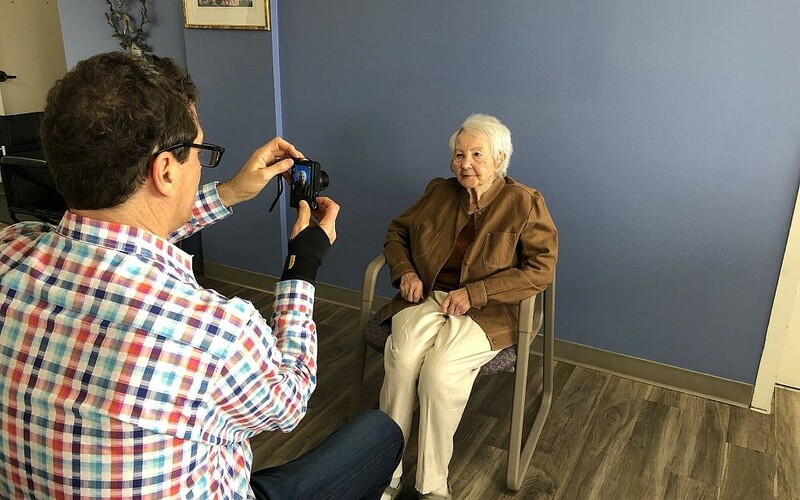 Pregulman photographs a Holocaust survivor in Tucson, Ariz., in February. Amy’s professional background is in nonprofit management. Indeed, the subject of her master’s thesis in strategic planning at the University of Memphis was KAVOD. John attended the Parsons School of Design in New York and worked as a professional photographer for four years. “What I liked to do the most was always portraits,” he said. Returning home to Chattanooga, he served as president of Siskin Steel, a century-old family business, and later became managing partner of Robmer Partners, a real estate company started by his father. Today, he works as a financial advisor and in the commercial real estate and investment banking fields. “We actually met because of this project,” Amy said. Five years ago, a friend asked John to photograph 65 survivors for the Illinois Holocaust Museum, an experience that he felt was a calling. That friend also invited John to visit Memphis, where Amy Israel was cultural arts director at the Memphis Jewish Community Center. “I reached out to him and asked if he would do a gallery show” of his survivor photographs, Amy said. John declined the gallery show request, but not long after sent Amy a Facebook friend request. A conversation began and, in January 2015, the couple met. KAVOD was formed in November 2015. John, 61, and Amy, 49, married in September 2016. They have six children between them from previous marriages. The number of agencies contacting KAVOD spiked after a December 2018 public radio report that aired nationally. “We are getting calls, emails, and Facebook messages from all over the country,” Amy said. “Any time we travel, it’s no one’s expense but ours. We don’t charge for our time. We don’t charge for the photos. We don’t charge for speaking,” she said. 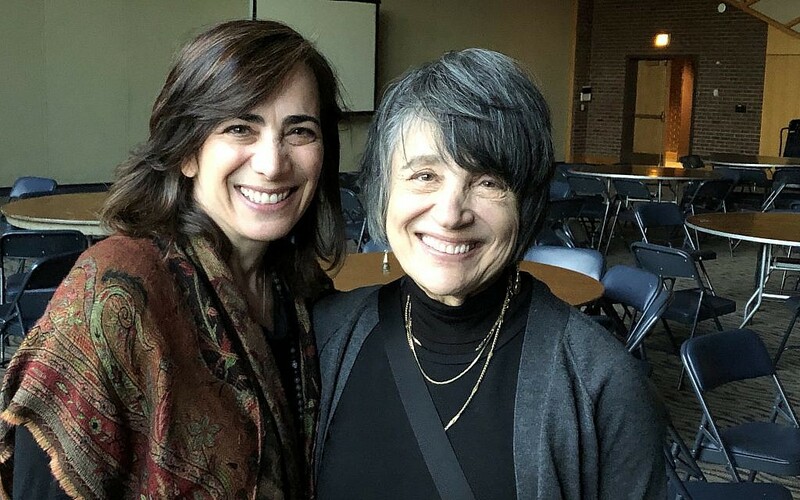 The Pregulmans are coming to Atlanta for the annual meeting of the Network of Jewish Human Service Agencies, an organization of more than 140 agencies in the United States, Canada, and Israel. Last year, the Pregulmans had a booth at the meeting. This year they will lead a session on KAVOD as a resource. The work has had a lasting impact. “And I decided, when I go to minyan, and I try to go as often as I can, I always stand for Kaddish, for those who didn’t survive. I’m only reading books by survivors that we’ve met. It’s not just emotional, but inspirational. Look at what they’ve done and what they’ve overcome. What greater story is there? They’re the ‘greatest generation’ squared,” John said. *These images do not depict recipients of aid from Kavod. Those receiving aid are confidential. The images are of Holocaust Survivors from across the globe and have been taken by John Pregulman since 2012. Website By Aluli Designs, Inc.